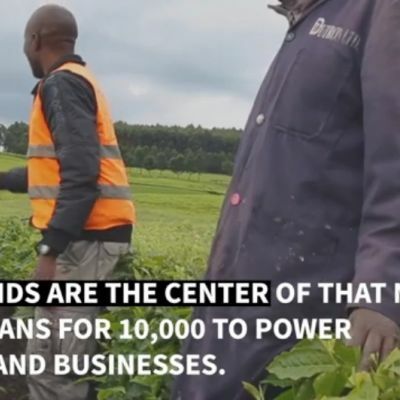 Our latest video looks at how micro-grids have successfully helped countries bring electricity to their farmers and rural industries. Examples include the United States, Cambodia, and most recently Nigeria. 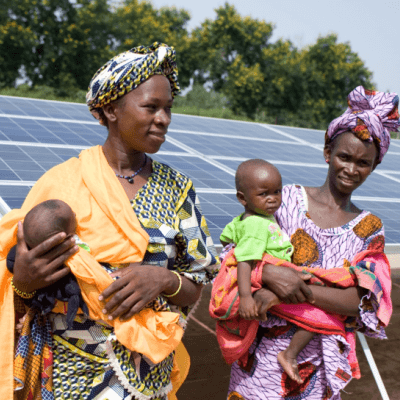 A new study in Ghana by Power Africa and Energicity, the parent company of solar mini-grid developer Black Star Energy (BSE), has revealed significant impact of electricity access on women-owned businesses and incomes, including helping them move from extreme poverty to near middle class status, while allowing them to stay in their rural communities. 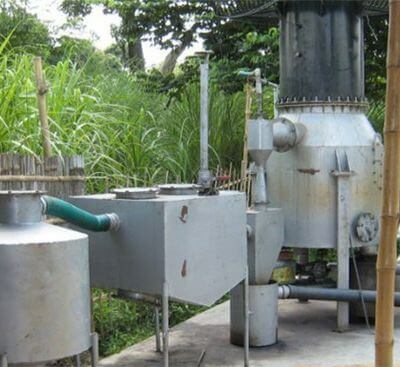 Decentralized electricity generation systems such as mini-grids avoid the high cost of bringing electricity long distances by constructing small-scale power plants right next to the point of consumption. What we mean by “productive use”—and why it matters. 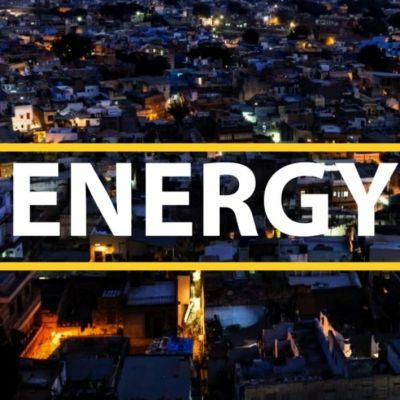 Productive use is one of the hottest buzzwords in the world of energy access today, increasingly used by development banks, industry leaders, and civil society organizations (among others!) 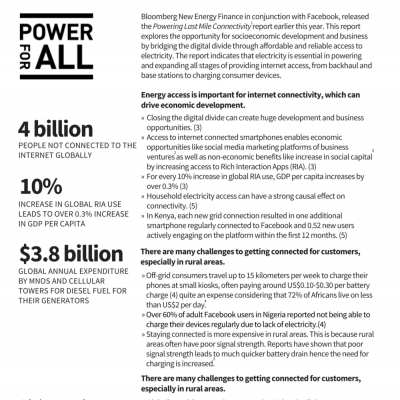 as the work to deliver energy to 1 billion people evolves beyond just lighting. But what does “productive use” of energy actually mean? 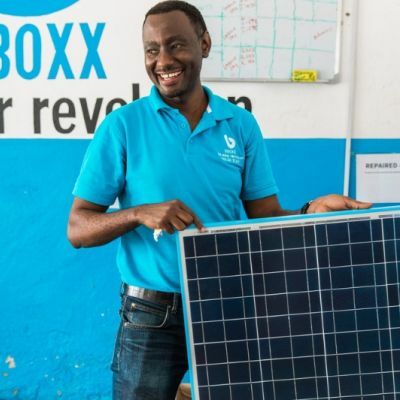 The bankability of mini-grid business models is improving but regulation remains the biggest challenge. Energy and Environment Partnership Trust Fund (EEP Africa) has financed 43 minigrid projects in 10 countries in Southern and Eastern Africa. 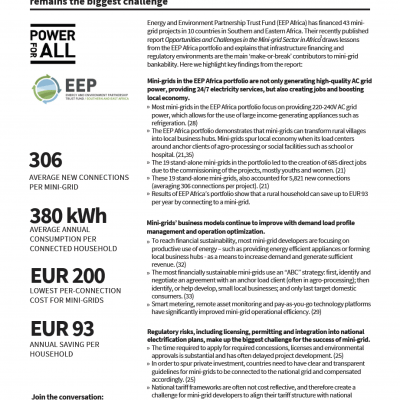 Their recently published report Opportunities and Challenges in the Mini-grid Sector in Africa draws lessons from the EEP Africa portfolio and explains that infrastructure financing and regulatory environments are the main ‘make-or-break’ contributors to mini-grid bankability. 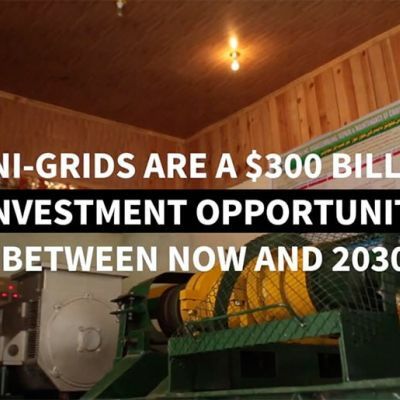 Private utilities called mini-grids have the potential to bring access to electricity to 450 million people by 2030, helping to end energy poverty while also laying the foundation for rural economic growth in Sub-Saharan Africa and many others regions and countries. 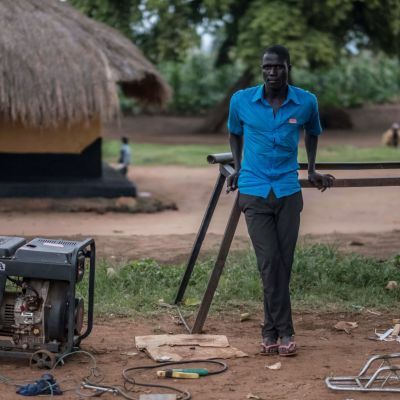 According to the UN, the “deployment of decentralized renewable energy is fueling a disruptive transformation of the energy sector”, by providing a fast, cost-effective and sustainable approach to universal energy access. 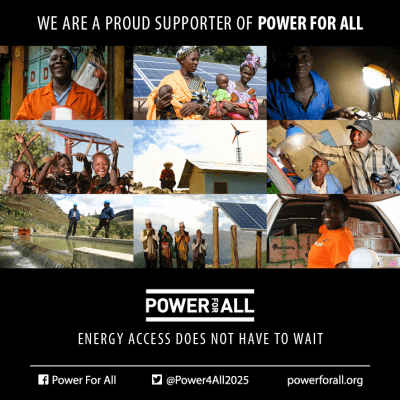 Yet we at Power for All, our partners and stakeholders agree that many actors with the influence to accelerate decentralized renewable energy (DRE) growth. 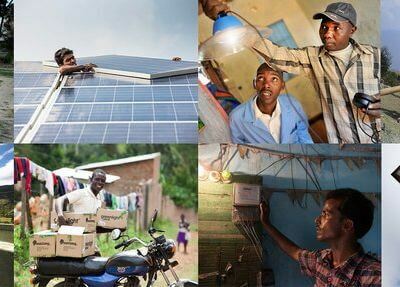 One of the major objectives of the Scaling Off-Grid Energy project (SOGE), funded by USAID and Power Africa and co-implemented in Nigeria by Power for All and FHI360, is to increase awareness and knowledge among sub-national policymakers of how decentralized renewable energy (DRE) solutions can accelerate energy access. 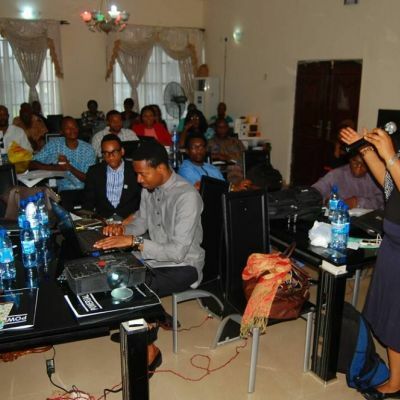 The main platform for meeting this goal is a 6-part series of regional workshops, called DRE101, with the first two already held in Kogi State, North-Central Nigeria, and Enugu State, South-Eastern Nigeria. 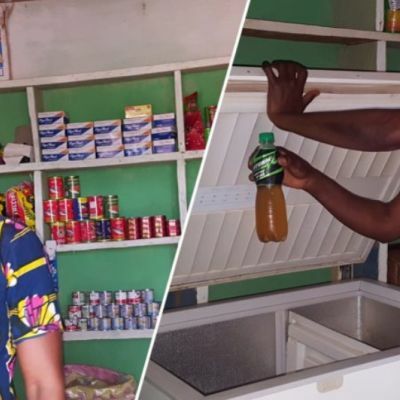 Igu, a farming village in Nigeria of about 4000 people, has never had electricity, despite being located in Nigeria’s Federal Capital Territory, just an hour’s drive from the seat of Nigeria's Federal Government, Abuja. 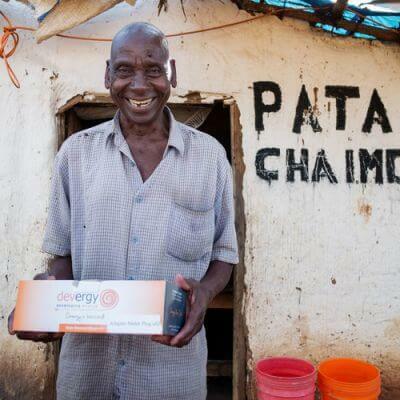 For villages like Igu, getting access to energy has until now remained a far-fetched dream. Nearly four billion people are not connected to the internet today, representing a significant opportunity for both socio-economic development and business. Bridging this digital divide requires affordable and reliable access to electricity. 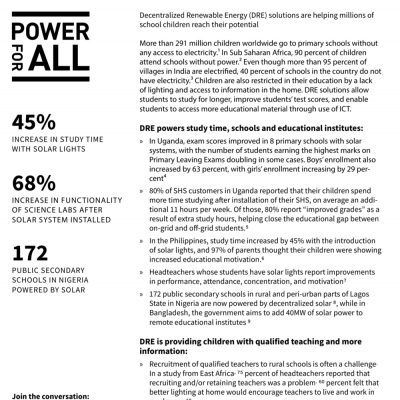 Decentralized renewable energy (DRE) solutions are helping millions of school children reach their potential. 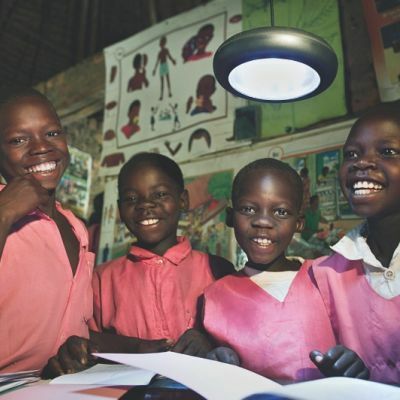 With many students still studying without light or electricity at school and at home, DRE solutions are critical to improving literacy and keeping children in the education system. 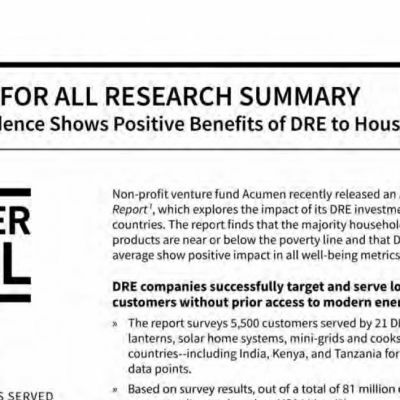 A new analysis by Acumen, exploring the impact of its distributed renewable energy (DRE) investments in 11 countries, finds that the majority of households served by DRE products are near or below the poverty line, and that such products, on average, show positive impact in all well-being metrics measured. The report finds that decentralized renewables represent an opportunity to leapfrog into clean, reliable, need-based energy services. 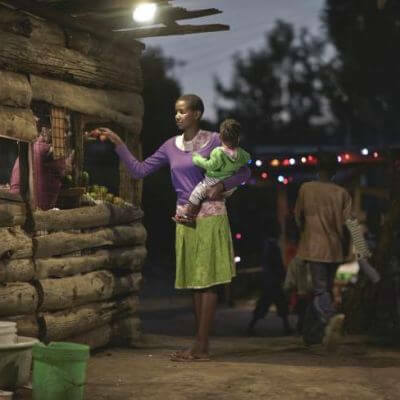 In our ongoing series with GTM Research on energy access, GTMR's Ben Attia and our PEAK research team uncover the untapped opportunity for decentralized solutions to serve "under-the-grid" communities, which total 110 million people, or one in every six African people without electricity access. 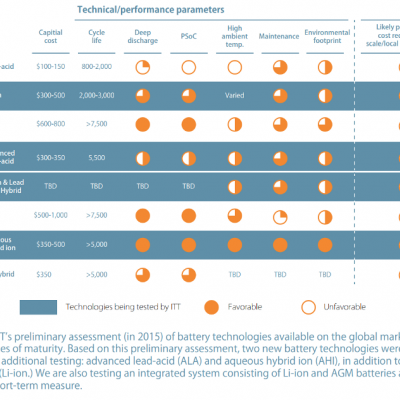 What’s the best battery for rural mini-grids? 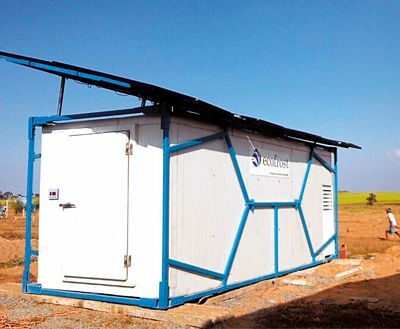 Husk Power Systems, an early pioneer in developing micro-grids for poor, rural communities in India and sub-Saharan Africa, plans a 7-fold increase in its power plants to 600 within 5 years, expanding into a fully-fledged rural utility that delivers reliable 24/7 grid-compatible power and better customer service than incumbent utilities. 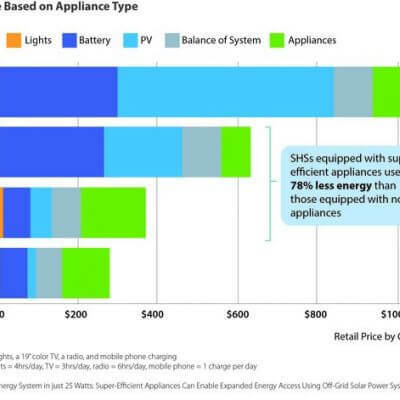 Is cold storage the next green mini-grid "anchor tenant"? 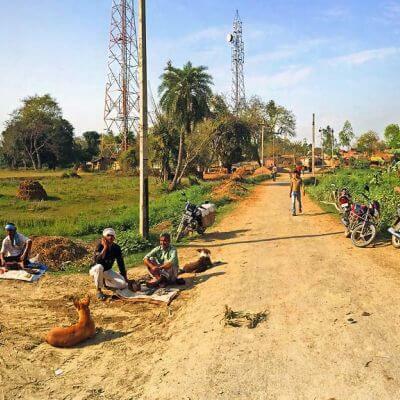 Many of India's leading mini-grid developers launched their businesses by powering remote telco towers close to communities lacking reliable electricity. 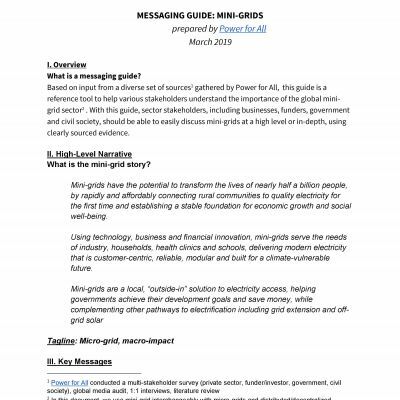 While this model has provided guaranteed off-take and revenue, the search is now on for additional (and more productive) anchor loads as the mini-grid market evolves and innovates. 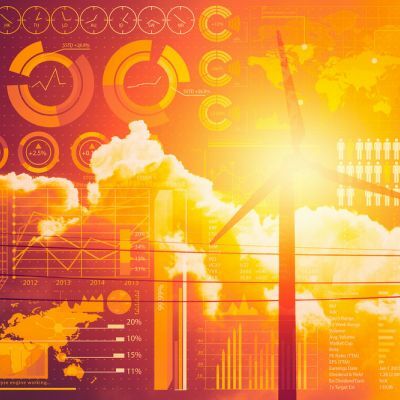 In a recent Power for All survey of leading decentralized renewable energy (DRE) companies (stay tuned for full results in March), marketing campaigns were pinpointed as “crucial for raising awareness about the benefits” of DRE—with the majority of respondents ranking them first in importance for effective market building programs. In line with both research on reaching base-of-the-pyramid consumers, and the clear upward trajectory of energy access following consumer awareness campaigns, the survey results inspired us to look more closely at the question: What makes a successful DRE awareness campaign? Luckily, there are some impressive examples. With the reduced cost of renewable technologies and rising innovation, micro-grids are a growing opportunity in emerging markets, one which is already reducing fuel consumption, lowering emissions and driving energy access. It is an opportunity that has not been missed by Caterpillar. 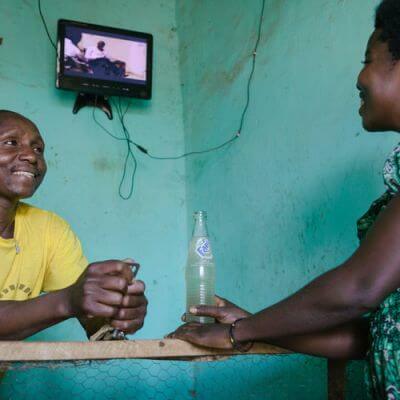 “The interest we’re seeing in this round of the Global LEAP Awards, particularly in the innovation prize for off-grid refrigerators, is amazing.” A conversation with Matt Jordan, Director at CLASP, an NGO that leads several programs in support of the Global Lighting and Energy Access Partnership (Global LEAP), is like lifting the lid on a whole new world of possibility: the demand side of energy access, and specifically the role of high-quality, highly efficient appliances. 2017 looks set to be the year this giant market opportunity will burst out of strategy meetings and into the spotlight. 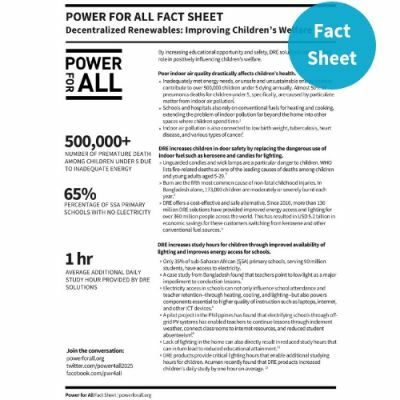 As climate negotiators gather in Marrakech for COP22, we must shine a spotlight on the world’s 1.1 billion people living without electricity, not only because they are the most vulnerable to climate change, but because they also offer a roadmap for the rest of the world on how to build a decentralized, democratized clean energy future. 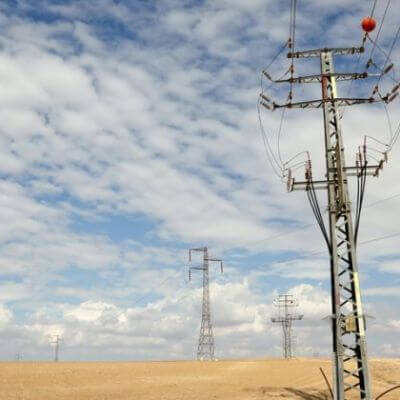 This roadmap would achieve universal energy access and, by 2030, eliminate a gigaton of CO2e each year—equal to eliminating the emissions of Germany, the world’s 4th largest economy. 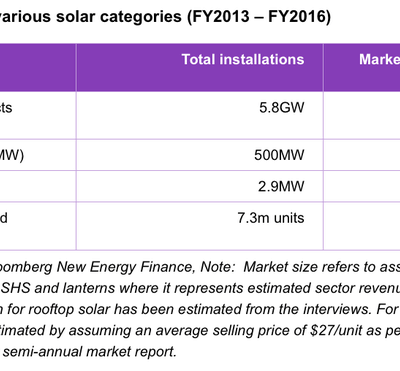 Small and rooftop solar is the fastest growing clean energy sector in India, with a blistering 92 percent compound annual growth rate over the past four years, according to a report from Bloomberg New Energy Finance (BNEF) released today. 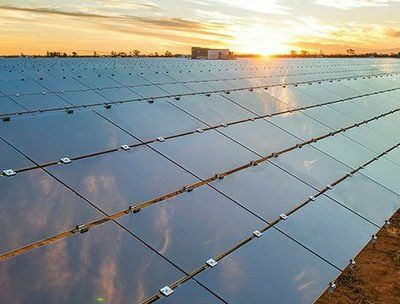 The segment will continue to see high growth rates, given ambitious government targets (40GW of rooftop solar by 2020), specific rooftop solar policy in most states including net-metering, new business models being tried by entrepreneurial companies and an increasing availability of debt and equity, the report said. 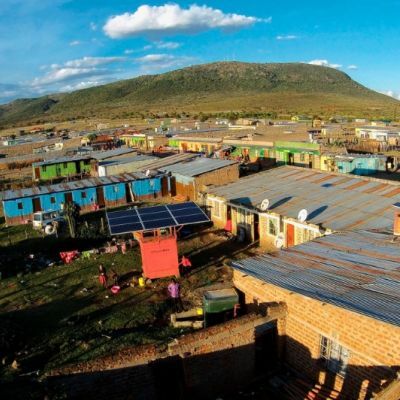 Last week saw the launch of the new Africa Development Bank Green Mini-Grid (GMG) Help Desk to build momentum behind the continent’s clean energy development. 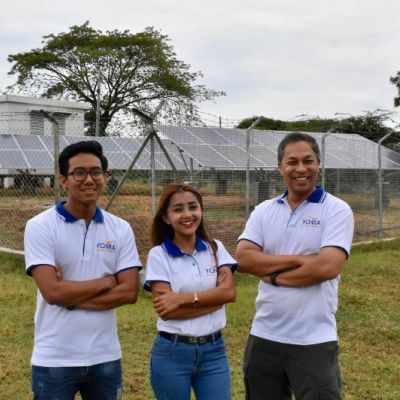 The Help Desk—operated by Energy4Impact and INENSUS GmbH as part of the SE4All Green Mini Grid Market Development Program—provides catalytic support to the GMG sector. 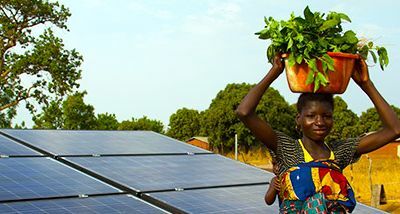 The launch comes as new research anticipates a 60% reduction in the cost of solar PV mini-grids, and as policy-maker support for GMGs has seen rapid growth around the world—notably in India and Nigeria, the countries with the world’s largest number of people living without electricity. 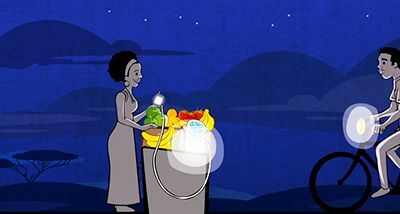 Energy access is not just about powering homes and businesses, but creating the energy needed to meet every one of our Sustainable Development Goals. 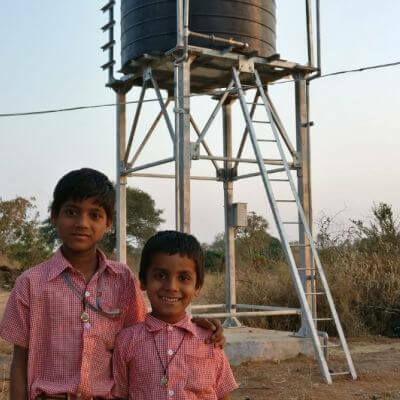 These pioneering decentralized renewable solutions have the potential to plug billions into the information age, combat the biggest global threat to children's health and provide clean water to millions. 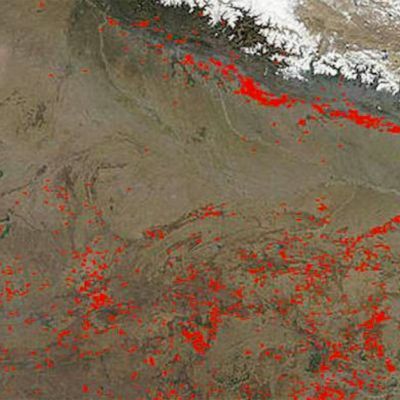 Check out these five innovations that could help change the world.